We will happily accommodate requests for early check-in or late check-out, if possible, so you can enjoy your stay at The Redbury just a little bit longer. Guests must be 21 or over to check-in, and must present a valid credit card upon arrival. We call ourselves hosts for a reason: we are dedicated to making your stay as fun, comfortable and carefree as possible, 24 hours a day. We pride ourselves on anticipating your needs and providing you with exclusive access to a wide array of world-class dining and entertainment options in New York City and beyond. Whether you want a table at the hottest new restaurant, a limo to your plane, reservations to visit top New York City attractions, or anything else, we promise to do our best to make it happen. To get in touch with us, email info@redburynyc.com or visit our concierge desk in the lobby. Whether you’re traveling for work or just checking in while on vacation, our business services keep you connected. Our dedicated housekeeping staff will refresh your room or flat every day between 9am and 5:30pm. Please let us know if you would like your housekeeper to come at a particular time, and we will do our best to accommodate your schedule. Should you need toothpaste, deodorant, extra towels, pillows, shaving cream, a toothbrush, a razor, a comb, or any other sundries, please do not hesitate to ask. Guests can request an airbed for a fee of $25 per stay. Please note: the airbed can only be accommodated in the Deluxe room categories or higher. A laundry valet bag and itemized pricing ticket can be found in the armoire in your room or suite. You are welcome to drop your garments at the host desk or call us to retrieve them. The Redbury uses a laundry service that handles dry cleaning, laundry, and pressing, as well as rushed overnight service. Preferred rates for overnight, covered garage parking spaces are available. 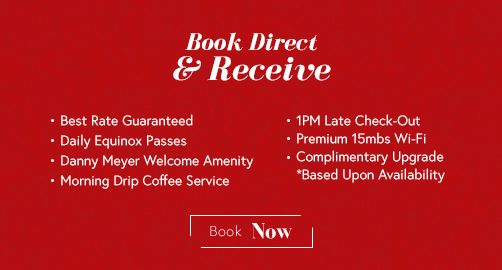 Notify front desk agent upon check-in to secure preferred rates. We can arrange limousines, car services, or car rentals to meet you at your convenience. The entrance to the hotel recently moved from 30th Street to 29th. We recommend mentioning this to your cab driver. To make arrangements, email info@redburynyc.com or visit our concierge desk in the lobby. The Redbury welcomes guests to bring one dog per stay, weighing 35 lbs or less. We require a one-time non-refundable assessment of $150 per dog. The charge will be added to your bill at checkout. We are also happy to arrange grooming or pet-sitting services. Even in a hotel full of pet-lovers, we must ask that our furry guests are supervised at all times, and we cannot permit them in any of our food service areas. The Redbury New York is a non-smoking hotel. A $500 fee will be imposed for guests that fail to comply with this non-smoking policy. If you believe you left something at the hotel after your stay, please email info@redburynyc.com or call the hotel directly with more information about your missing item. We will review the information and notify you if we’ve found your missing item. A daily hotel facilities fee of $30, per room (plus tax) will be applied to your booking. 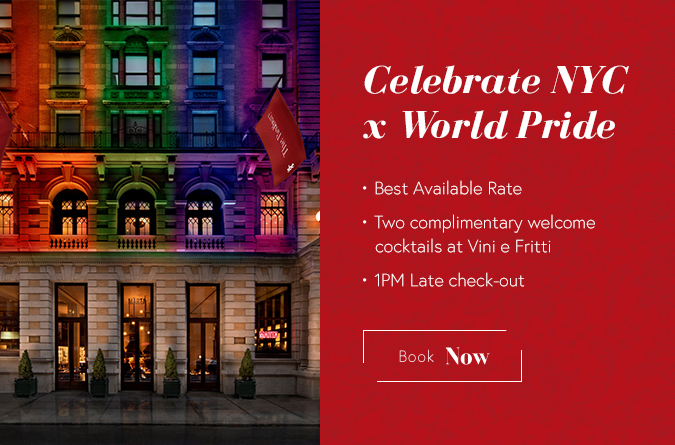 This includes high-speed Wi-Fi access throughout the entire hotel, digital access to The New York Times and The Financial Times, daily drip coffee service from 6:30am–10:30am in Vini e Fritti, two bottles of water, daily city-wide passes to New York Sports Club locations throughout Manhattan, evening turndown service upon request, printing, faxing, copy, and notary services upon request, itinerary planning and travel reservation assistance, unlimited local and toll-free calls, as well as a map of New York City.